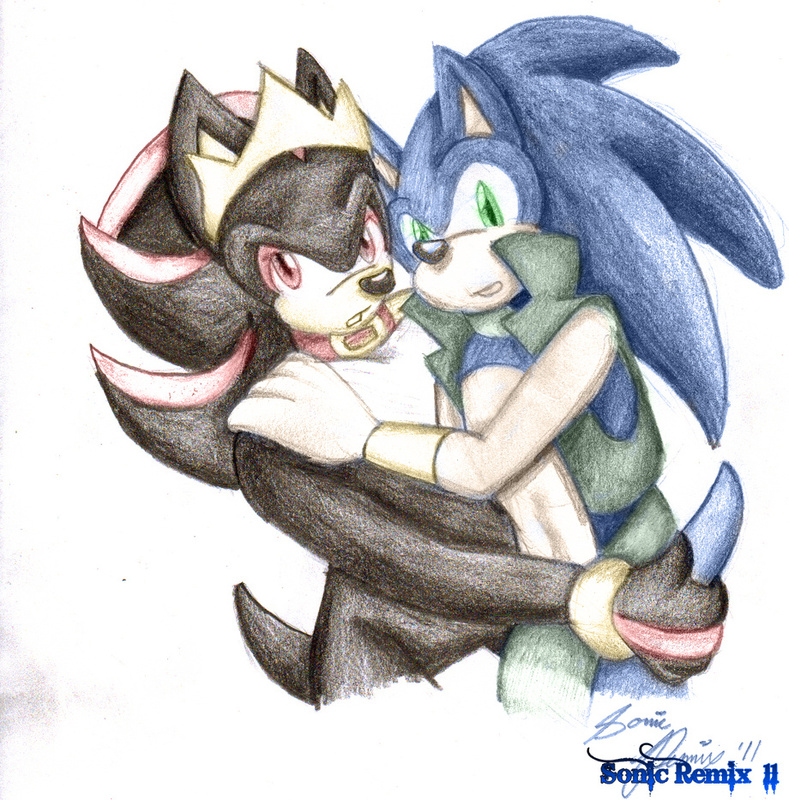 "Sonic Lust - A King and His Emerald"
I haven't drawn anything Sonic Lust in a while, and this is a pretty tame pic. I didn't feel like breaking out the colored pencils, so I just did a black and white pencil drawing and shaded it, and used Photoshop to color it. Gives it a nice colored pencil effect without actually USING colored pencils. Digital art? No colored pencils? Had me fooled.